Are Diamonds a girl best friend? Maybe for an Aries, because we wouldn’t say no to pearls and sapphire either. Want to gift a loved one a gift to remember? Here are our picks with the zodiac characteristics and birthstones of each. Hardheaded and with a tendency to move on to greater things, Diamonds are the Aries birthstone. Bring out the uniqueness of an aries with this victorian black and gold diamonds by Fred Leighton (€8,040). 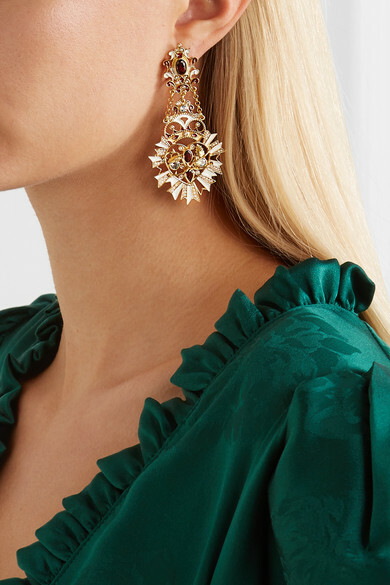 For the practical and sensual Taurus, the colorful Grass Leaves 18-karat gold Emerald earrings by Ileana Makri (£3,610) bring out the down to earth and sensible souls that taurus really are. Want to please a gemini? Pearl is the way to their heart. The intellectual and expressive gemini will rock pearls like no other. Lasso No2 pearl necklace by Saskia Diez (€390) is as special as the gemini in your life. For the Highly imaginative Cancer the Ruby is the stone that will get their mind to work out like no other. 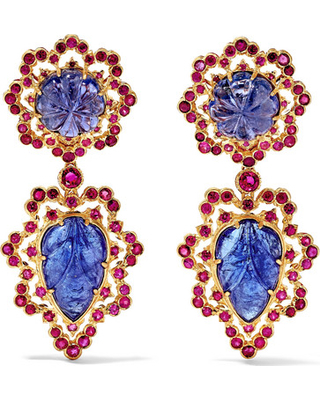 Steal their heart with 18-karat gold, tanzanite and ruby earrings by Buccellati (€66,000). Just as special as the Cancers in your life. For the Energetic and optimistic Leo gift find something that will make them the center of attention. 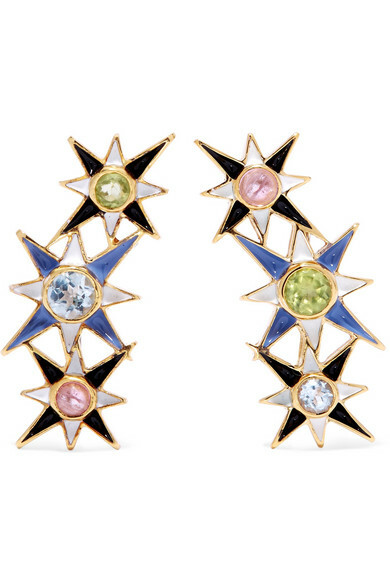 Peridot Birthstone characterizes this zodiac sign, and what better than this gold plated and enamel multi stone earrings by Percossi Papi (€378) to make them the star of the show. The carful Virgo pays attention to detail like no other. 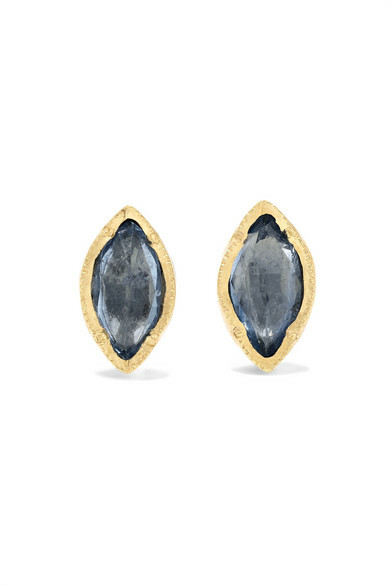 Gift them the 18-karat gold Sapphire earrings by Brooke Gregson (€1,427), because we guarantee they won’t be able to find a single flaw in this piece of art. 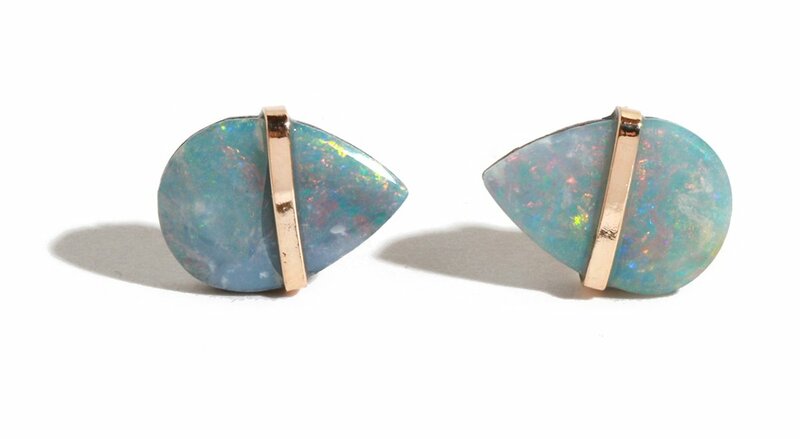 Opal is the Libras Birthstones. This stones brings peace and tranquility just like the Libras bring to other signs. 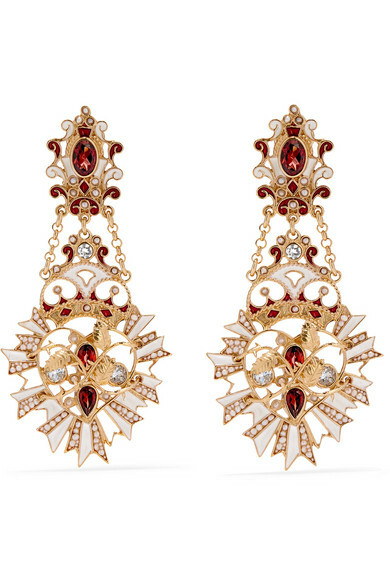 The 14- karat gold earrings by Melissa Joy Manning (€345) will steal the attention of your Libra. Scorpio needs something passionate and breathtaking just as special as their sign. The Collection 18-karat gold, sterling silver and Topaz earrings by Fred Leighton (€2,280) will get them talking for months. 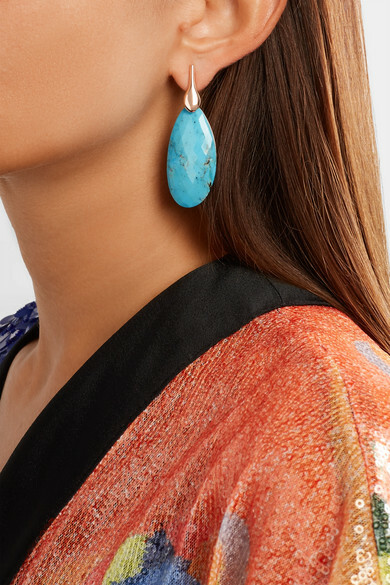 Curious and open minded the Turquoise is the birthstone of Sagittarius.The biggest traveler of all zodiac sign will look amazing with the Nura rose gold vermeil turquoise earrings by Monica Vinader (€743) while traveling the world. Ambitious and Patient the Capricorn stone is Garnet. 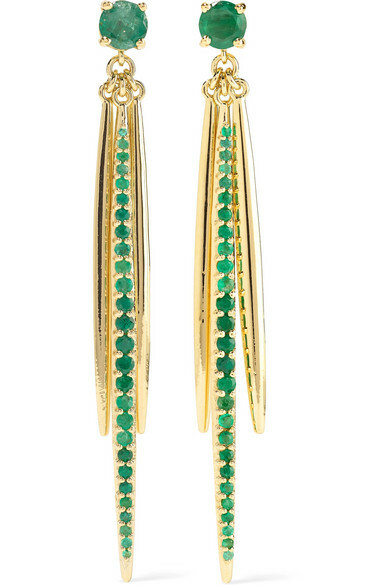 The Gold-plated and enamel multi-stone earrings by Percossi Papi (€1,297) make a bold statement for the wise Capricorn. 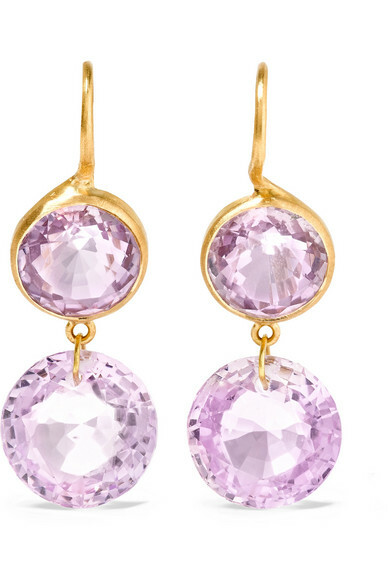 Affectionate and imaginative the Amethyst is perfect for the independent Aquarius. 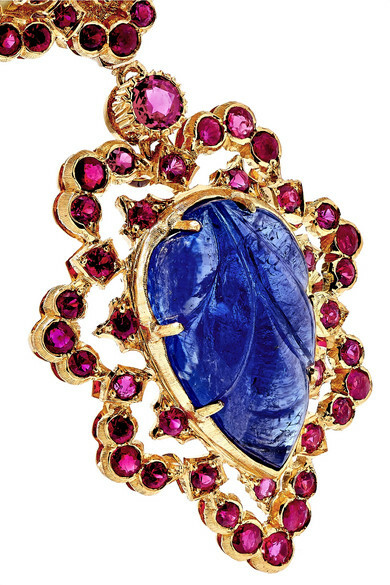 The 18 karat gold amethyst earrings by Marie- Helene de Taillac (€1,950) brings out their eccentric and playful side. 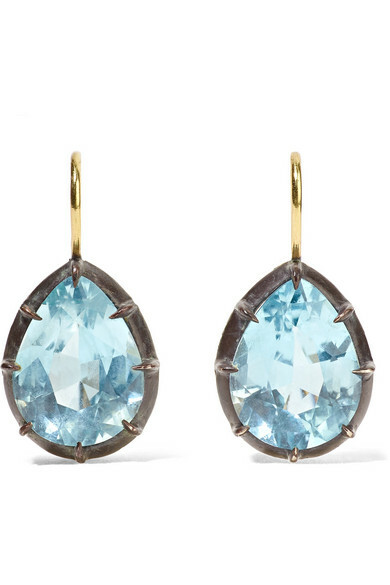 Characterized by empathy and intuitiveness, you have to capture their artistic eye with the Aquamarine stone. 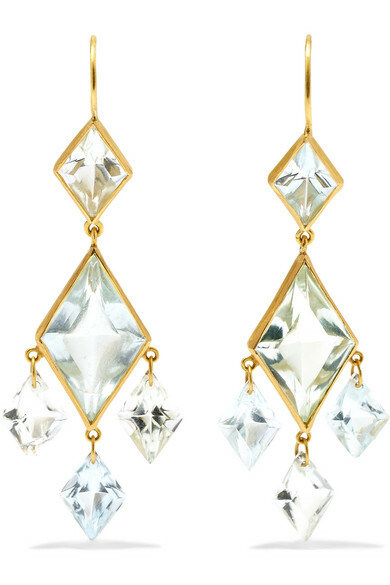 Cristal clear the beautiful 22 karat gold quartz and aquamarine earrings by Marie- Helene de Taillac (€6,100) will bring your Pieces to tears. 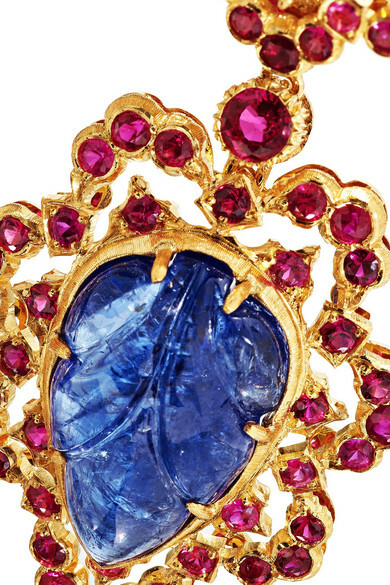 Do you relate to your Zodiac Birthstone?